Features: Too many! Please see pictures and description! 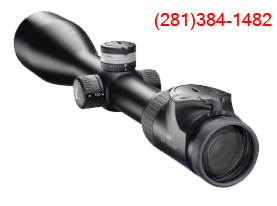 A new unit of the most beautiful handgun we ever had in The Scopesmith! The Nighthawk VIP Turnbull 1, or Very Impressive Pistol, is just that, impressive. 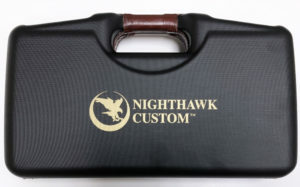 The Turnbull VIP models are the first additions to Nighthawk VIP Collectors Line. 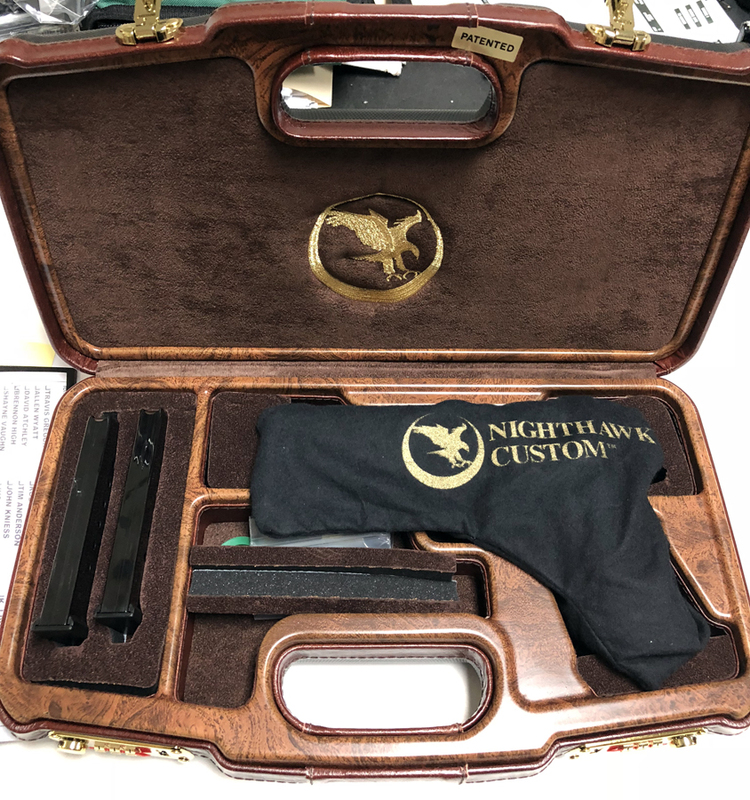 As one of Nighthawk most exclusive models, the VIP is built as a true heirloom piece that is the result of a collaboration between Nighthawk Custom and Doug Turnbull. Because of the time and skill that that is required to give this unique appearance, these guns are very limited in availability. 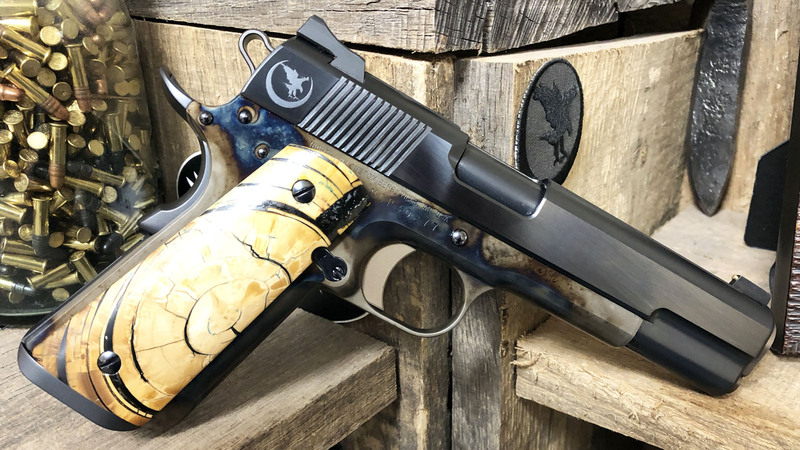 This pistol is crafted with all of the finest customizations, including a classic case hardened and polished frame. The high polished, charcoal blued slide, matches the slide stop, magazine release, and thumb safety. To top it all off, NIghthawk added a 14k solid gold bead front sight, mammoth ivory grips, and a custom case. Every pistol will vary slightly in appearance because each case hardened frame and set of mammoth ivory grips is unique. 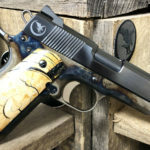 For years, firearms customers have loved Turnbull Finishes. 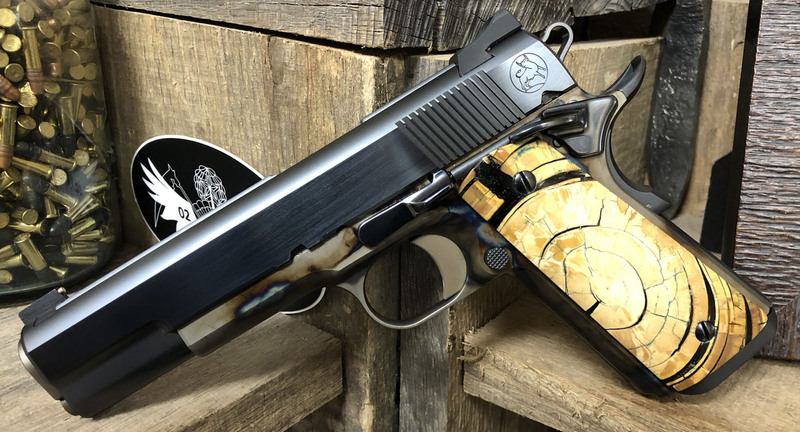 Because of the relationship between Mark Stone of Nighthawk and Doug Turnbull, and the respect both men have for the product each company produces, they have created a partnership that has resulted in the finest 1911 pistols on the market.